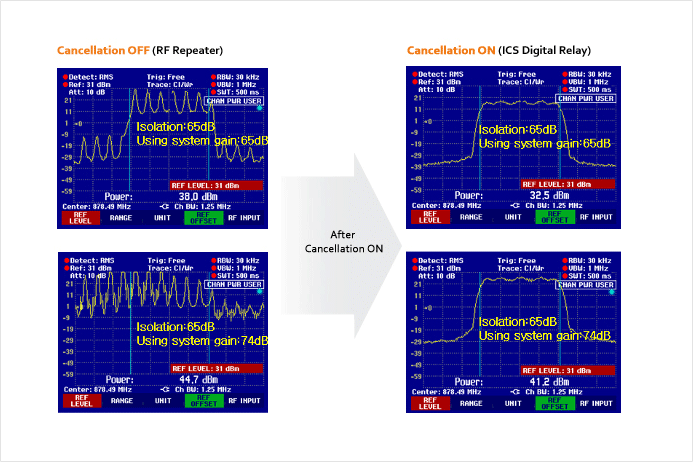 This test is about isolation performance between general RF delay and our ICS repeater. As the picture, general RF delay occurs because of oscillation when sufficient isolation is not obtained. However, and ICS repeater guarantees stable performance even with G=I+10dB. It means that the customer has the advantage of reducing the Capex/Opex cost by installing the ICS repeater in an area where isolation is weak.